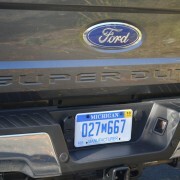 Trying to pin down a Ford pickup requires more specificity than a NASA launch sequence. 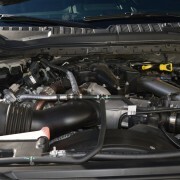 Just look at the above referenced dozen identifiers and you see how complicated the ordering process can be when you step into your local Ford shop. 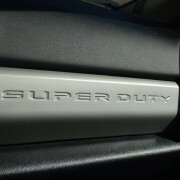 Let’s start with the concept of Super Duty. 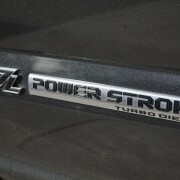 These promissory words appeared everywhere on our test F250: incised in the hood, tailgate, flanks, and dash. 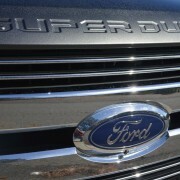 Super Duty is not available on Ford’s entry level pickup, the F150. 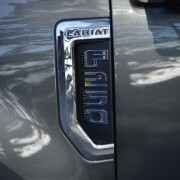 Rather it’s a term reserved for the heavily reinforced construction available only on F250 and F350 series trucks. 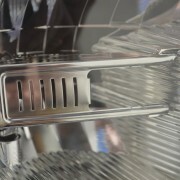 Take the frame, for example, which is now built from 95% high-strength steel. 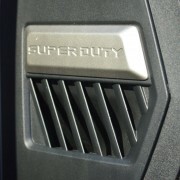 This infrastructure is the strongest Super Duty frame ever produced. 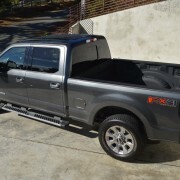 Last year, the F150 saved weight with its aluminum pickup box. 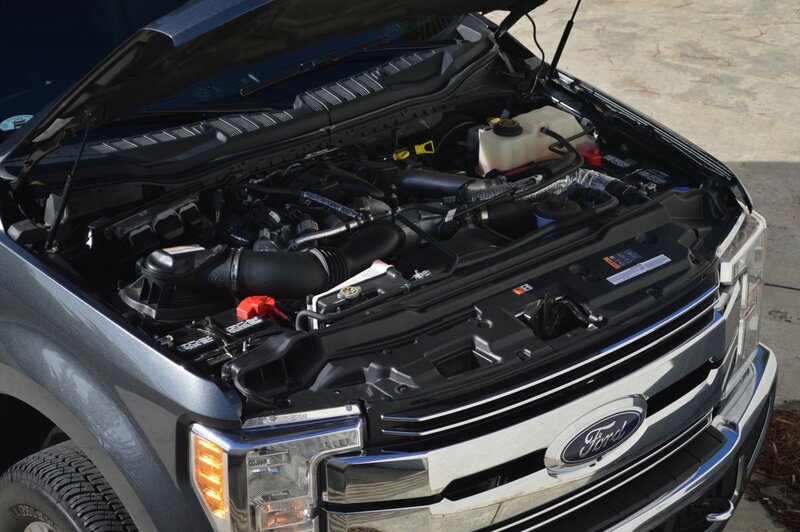 For 2017, Ford has re-engineered the aluminum box for use on Super Duty models by upgrading the panel thickness of the box to handle the increased loading requirements of the Super Duty line. 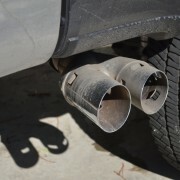 This aluminum construction saves nearly 400 pounds over a comparable steel box while still managing to pass “Built Ford Tough” tests over 12 million miles of testing. 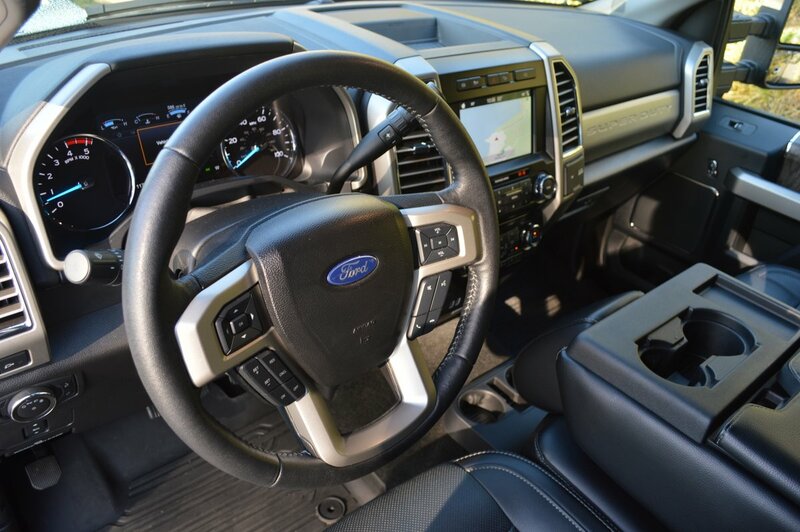 From the moment you climb into the F250′s comfy cab, you realize that this truck has been designed from the ground up to manage extreme situations with insolent ease. 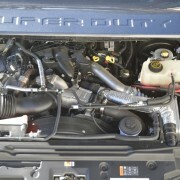 The fun starts under that huge expanse of hood, where our test truck’s $8,595 optional 6.7 liter Power Stroke V8 Diesel hummed its way to 430hp. 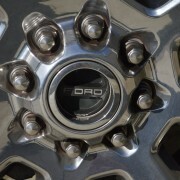 The big news, however, comes in the torque output: 925lb.-ft. of twist at just 1,800rpm. 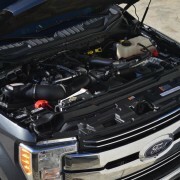 In other words, every time you flatten the accelerator in the F250, you are instantly generating twice as much thrust as Ford’s also available gas V8, which makes 385hp and “only” 430lb.-ft. of torque. 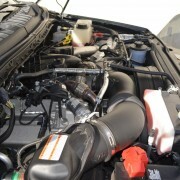 So what will this Diesel torque master do for you? 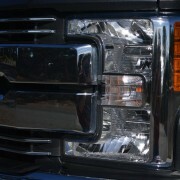 It will allow the F250 to tow 17,600 pounds of trailer. 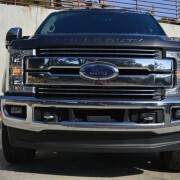 If you opt for the F350 with the 6.7 liter Diesel, tow rating soars to an amazing 31,300 pounds. 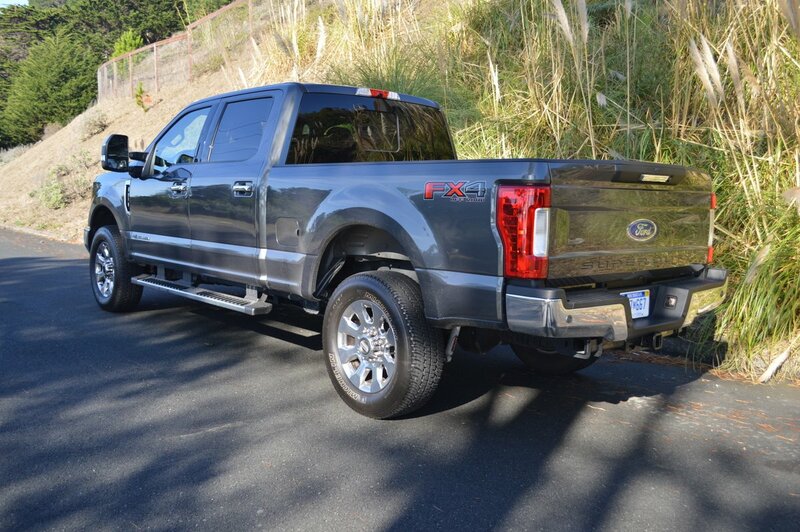 Our test F250 was completely optimized for towing. 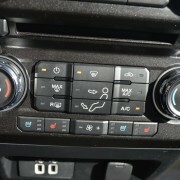 For starters, it had 4 wheel drive, with low and high ranges of RWD and 4WD available by simply twisting a knob on the dash. 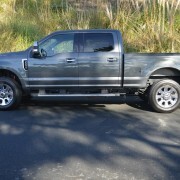 Ford includes dual heavy duty alternators at no extra cost. 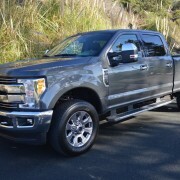 An acceleration enhancing 3.55:1 electronic locking rear axle costs just $390 extra, A must have if you plan to tow is the $710 “Ultimate Trailer Tow Camera” which allows you to keep an eye on your load at all times. 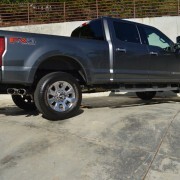 A couple of important suspension tweaks on our F250 made its handling surprisingly responsive. 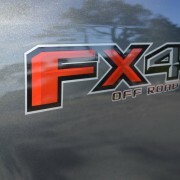 The $295 FX4 Off-Road Package stiffens spring rates and shock absorber response. 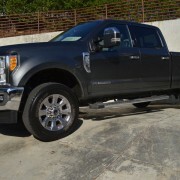 It also provides skid plates for off-road forays, and maximizes gross vehicle weight rating (GVWR) at 10,000 pounds. 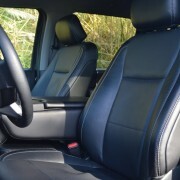 The uprated suspension produced ride quality on the stiff side of comfortable. 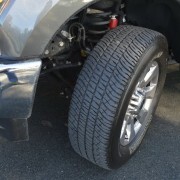 But when the road became twisty, this 7,898 LB. 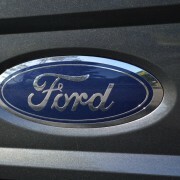 Ford acquitted itself with remarkable agility. 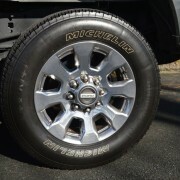 Excellent Michelin tires are in part responsible for the happy compromise. 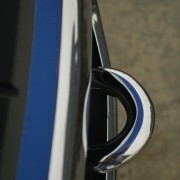 These LTX AT2 M&S rated rollers ride on chromed wheels that are forged for exceptional strength. 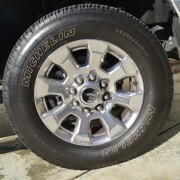 These 20″ x 8″ beauties cost $1,240 extra, and look just right supporting those massive 275/65R20 Michelins. 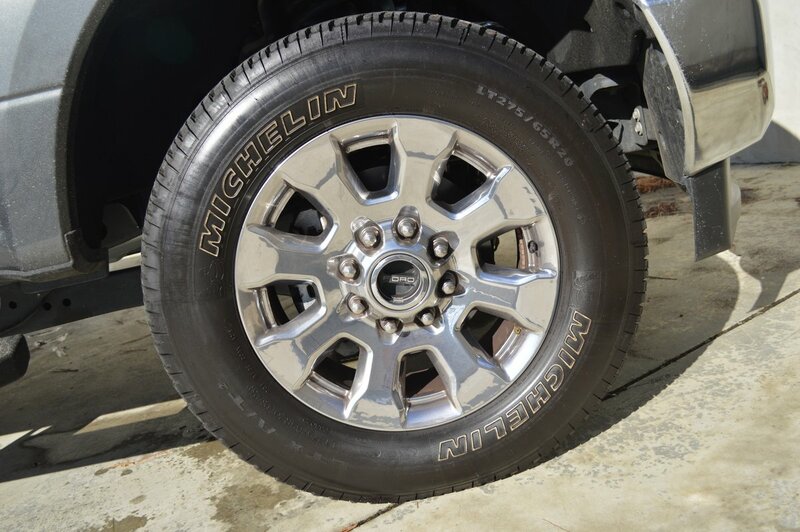 Because the F250 stands really tall on these tires, the climb into the 81″ high cab is challenging. 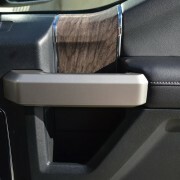 But Ford has provided very substantial cleated aluminum running boards to ease entry, plus an A-pillar mounted grab bar to complete the hoisting procedure. 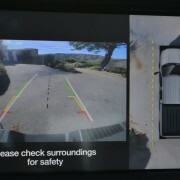 Once ensconced in the commanding bridge, you immediately notice how good the rear view mirrors are. 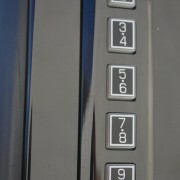 They are divided into upper and lower sections, with the upper pane affording a normal view, and the lower pane showing a wide angle view. 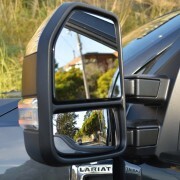 If you can’t see anything in these mirrors, then you can rest assured that nothing is there. 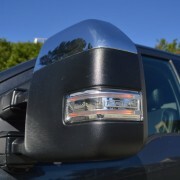 For even more piece of mind, the standard blind spot detection system can be upgraded to cover your trailer as well as your truck. 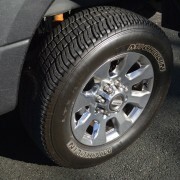 And the monitor for truck tire pressures can be calibrated to monitor 6 trailer tires if needed. 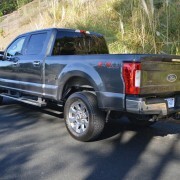 If you tow a fifth wheel trailer, you will appreciate the cab mounted tailgate release. 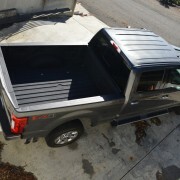 You can monitor back-up maneuvers thanks to cameras mounted on the tailgate and rear roof. 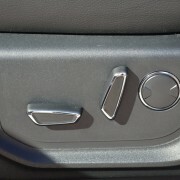 This allows you to back the F250 onto your trailer ball without help from anyone else. 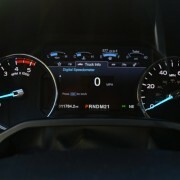 What I most appreciated about this exceptional truck was the information available to check while driving. 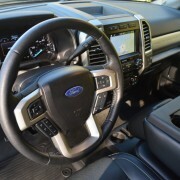 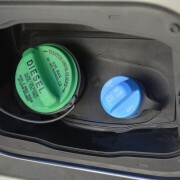 For example, transmission and engine temps, oil pressure, turbo boost level, tire pressures, even remaining Diesel emission life — all parameters are available at the touch of a steering wheel mounted button. 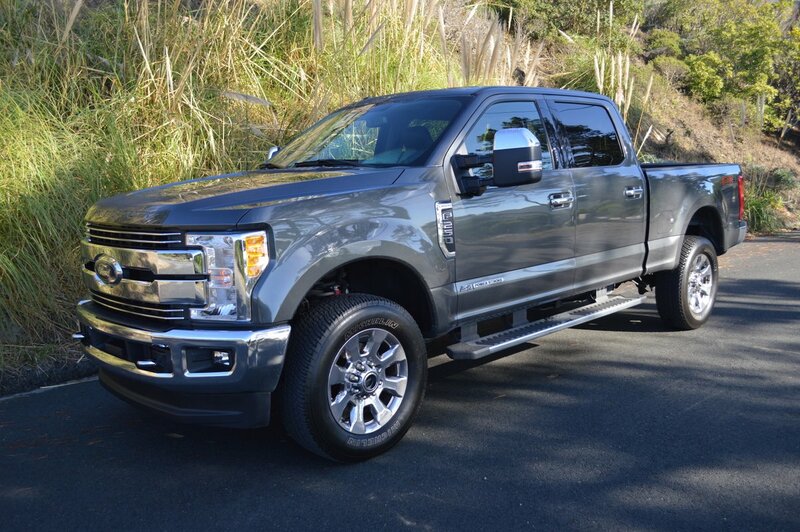 All in all, the F250 Super Duty Diesel is the perfect all purpose getaway vehicle.